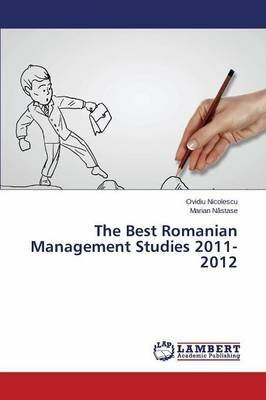 "The Best Romanian Management Studies in 2011-2012" represents a step ahead in the endevours of the most elitist Romanian management organisation - Romanian Academic Management Society (RAMS) - to contribute to the development of the management in Romania. The main objectives taken into consideration by RAMS publishing this book are the followings: to gather the best Romanian studies achieved in Romania in the last two years, 2011 and 2012, mainly by RAMS members; to diseminate these studies in the international and national management literature; to accelerate the development of the management in Romania; to increase the prestige of Romanian management and RAMS. The content of the studies are quite diversified, both as type of the organisation - enterprises, branches or fields - and as nature of topics. Naturally, the majority of studies are focused on the company management - large or SME - dealing with very uptodate problems - innovation, sustenability, decisional process, logistics a.s.o. Other set of studies refers to the management of the important branches of the society or economy - research-development, education, energie, turism, health or distribution.